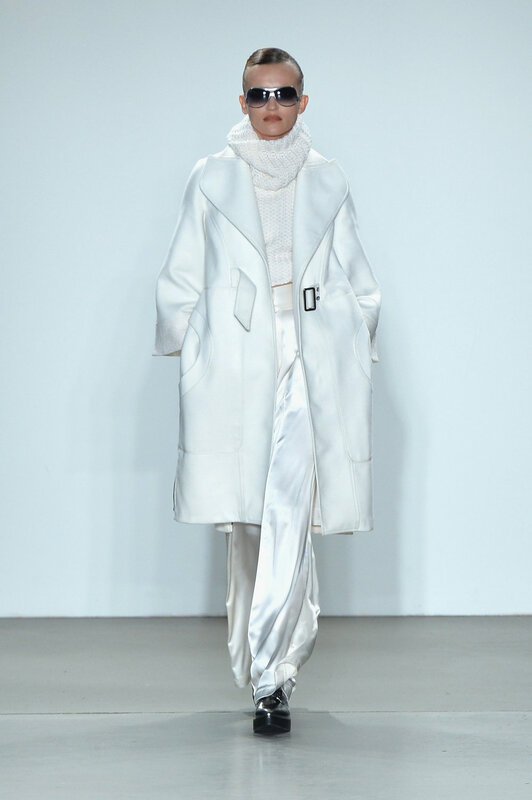 Presented during NYFW, designer Louis Verdad introduced new label VERDAD. Made in spirit of the Verdad’s style defined as “sensually vintage”, but very millennia driven, sleek, relatable and above all else wearable... Gathering inspiration from the streets of LA, the new collection for fall winter 2017 consisted of dark colors, blazers, and denim mixed with vintage. Actually for Louis, denim is a subliminal message to follow it’s the second skin of America and has universal appeal. 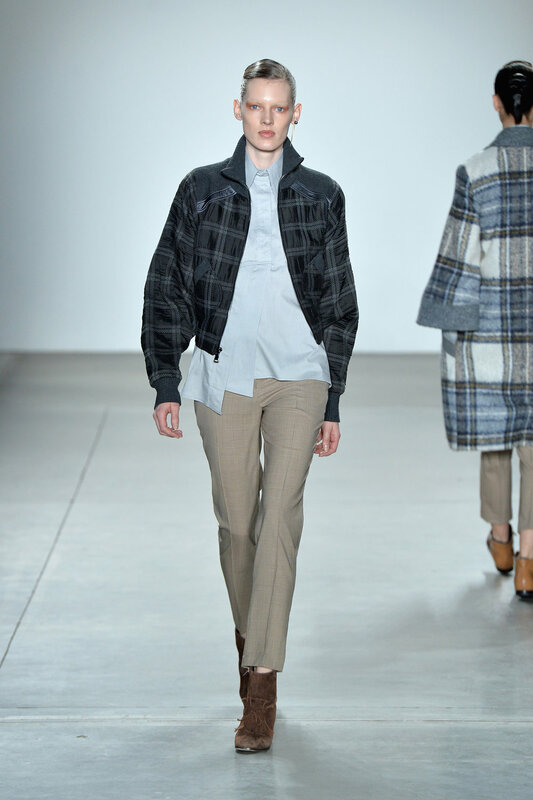 He’s fond of using denim in the new Fall Winter 2017 collection, plenty of laminated denim in overall culottes, worn with puff sleeve poplin blouses. Black silk cotton dresses with side zippers, turtleneck sweaters and oversized cardigans were a few statement pieces. After 15-years in the fashion industry, veteran Louis Verdad produced the LA made label VERDAD. Well known in Hollywood, Louis Verdad collections was seen on stylish celebrities like Cate Blanchett, Oprah Winfrey, Cher, Halle Berry and Madonna. 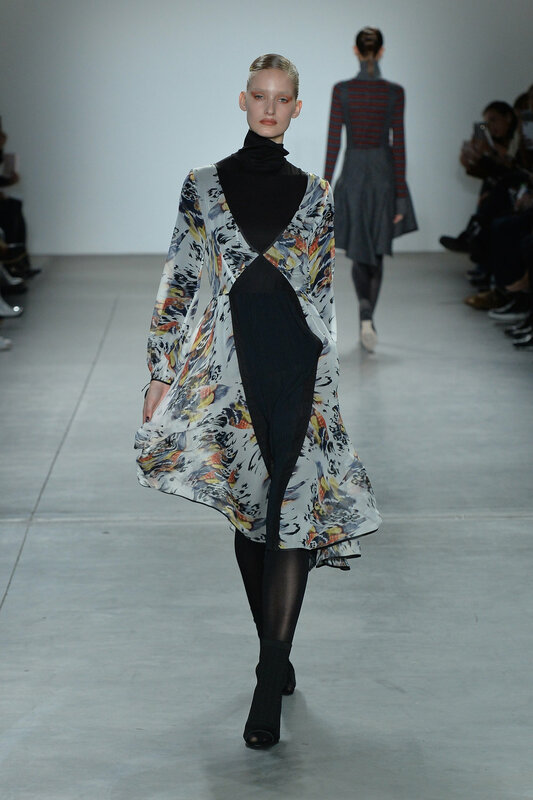 For New York Fashion Week the designer delivered a very wearable collection but distinctively radiant. The woman by VERDAD is unique; she has a modern sense and appreciates high quality. She’s able mix together without trying too hard, but also she understands high fashion and comfort. Hair by Allen Ruis was neatly stacked into glossy headband braids - a traditional Japanese topknot haircut. It is most commonly associated with the Edo period and samurai, and in recent times with sumo wrestlers. Makeup was done by Anna Conte and styling by Marissa Weingarten and Nancy Edwards.